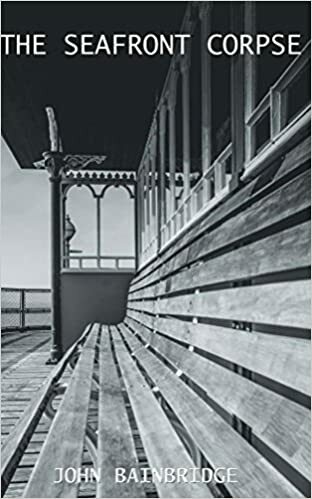 Our Golden Age Detective Novel The Seafront Corpse is on sale on Amazon Kindle for just 99 pence/cents, but only until Monday night. Please click on the link below to order. I started out Indie publishing because I wanted to publish a couple of books on country walking. At that time I had no thoughts of publishing my novels as Indie books. Walking in the countryside is the UK’s most popular recreational activity, so I always thought I’d sell a few copies. I’ve spent much of my life as a freelance journalist writing about walking and the great outdoors. There’s definitely a market there. 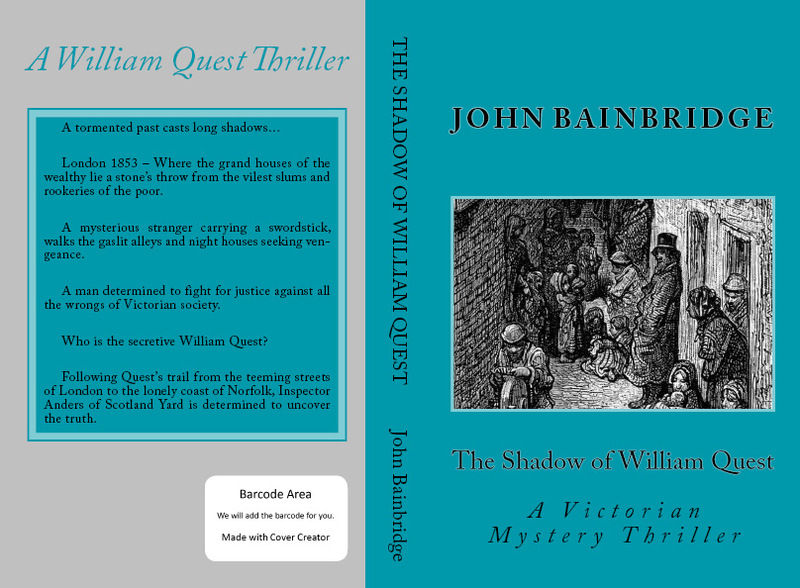 Nevertheless, I published my first two books”Rambling – the Beginner’s Bible” and the slightly subversive “The Compleat Trespasser” as a kind of experiment. From my point of view, they were a useful way of learning all about Indie Publishing, formatting, selling online and so on. I was pleasantly surprised when the two books came out. They’ve sold moderately well and have garnered some kindly reviews. Since then we’ve put out a couple more works of non-fiction “Easy British Bakes and Cakes”, and “Wayfarer’s Dole”, an autobiographical account of some of my early days walking in the British countryside. But they sell a limited number of copies compared to the fiction. Nevertheless, I doubt we would have decided to Indie publish the novels unless there had been some positive reactions to these non-fiction works. Also, being shorter than most of the fiction, they gave me an opportunity to experiment with layout and the other technicalities of Indie Publishing. The cover designs are my own and that was an experiment in itself. Only one cover has been changed. I didn’t think the original cover of “Rambling…” worked, so I put on a better picture. Most of the non-fiction was put out in paperback on CreateSpace, with the exception of the baking book and “Footloose with George Borrow” which are quite short, and out there as eBooks. The paperbacks do sell, though most of our sales are on Kindle. I think, unless you can write about a niche non-fiction subject that happens to be incredibly popular at the moment, that will always be the way of things. You’ll probably get some sales – and to me every single sale is welcome – but you’ll never be a bestseller in non-fiction. To me it doesn’t matter. I’m pleased that my walking adventures have been put on a permanent record. “The Compleat Trespasser” got a wonderful review in a leading national walking magazine. The non-fiction has generated a lot of friendly comments and brought a lot of new readers to my various blogs, which are sales platforms for the novels and the other non-fiction. I know that some of my non-fiction readers have bought the novels as well, and the other way round. We always put ads for our books in the back and this generates some sales traffic. I haven’t experimented with publishing straight non-fiction articles on Kindle, though I’m aware that some writers do well with them. I suspect that online journalism will be the future. In my own fields of walking and the outdoors a lot of mainstream magazines are already publishing online editions alongside their printed copies. Times have certainly changed. A few years ago, I would have approached mainstream publishers to see if they were interested in my walking books. Some writers still do very well publishing that way, but they’re the lucky ones. So, if you have a hobby or interest that you believe others might share, why not try writing and Indie Publishing a book about it? You see it all the time in books on Kindle writing and author blogs. Pay a professional artist to design your cover or your book will never sell, or not sell many copies. More than that, browsers on sites such as Amazon won’t even bother to look any further. Now I love book covers especially good ones. But what is a good one? I’ve looked at the Kindle sales pages and, checking out the authors through their blogs, find they’ve spent a small fortune paying for cover art. Some of them are good covers too. But a lot of the covers I see wouldn’t tempt me into buying. I have to say that some of the covers used by mainstream publishers, available in bookshops aren’t much better. Moody shots of trees in the moonlight – a common theme in the commercial world of publishing – don’t do it for me. I’ve recently read several of the British Library Crime Classics series. This series has brought back into print detective novels of the Golden Age. The covers are stunning, really representative of the period. But, sadly, some of the novels don’t live up to the gorgeous covers. They’re probably titles that should have been left to fade away into history. Yet many readers will have succumbed to the covers rather than the contents. I’ve seen a lot of negative reviews on Amazon. Older readers will remember how Penguin used to use a more or less standard cover for all of their titles. They all looked the same. But that didn’t stop Penguin becoming the publishing phenomenon of much of the 20th century. And Victor Gollancz used a yellow cover with uniform lettering for all his published titles. I think what sells books is the actual quality of the text inside, particularly where fiction is concerned. You could hire some of the artistic greats to do your cover, but unless the book is any good it won’t sell. And people buy Indie books to read, the cover is soon forgotten. Take a look at some of these books with expensive artwork. I’ve just checked out a few such authors and then clicked on the Amazon ‘Look Inside’ feature and their reviews. I’ve seen poor writing quality, bad grammar, spelling, formatting, and awful reviews. In the old days of traditional publishing, authors wrote books. They didn’t have much to do with cover design. You got what you were given. Now, if you’re doing it yourself you have to consider cover design and possibly actually produce a cover. But I believe it is a myth to suggest you necessarily need a professional designer. When all is said and done, the buyer on Amazon sees a rather tiny picture of your book cover. Elaborate artwork is lost on the viewer. What you need is something that stands out. And a good sales pitch to go with it. I believe that Indie authors should think less about their covers and much more about the quality of their work and the sales pitch on the Amazon selling page. And to prove my point, I’ve found – just through browsing – a number of authors with wonderful sales numbers, most of them having the kind of cover that – according to the Indie gurus – should be a massive turn-off. A really well-written book, free of spelling and grammatical errors. A sales pitch that makes the reader absolutely yearn to buy your book. The proper and selective use of categories and keywords. Where fiction is concerned, think of writing a series rather than a one-off. What concerns me is that Indie authors, who might have a very real talent, might be deterred from Indie publishing because they believe they need to spend hundreds of pounds/dollars for a cover before they can put a book out there. My covers might not be the greatest in the world – there’s one I’m not enamoured with and am in the process of changing – but the books sell. And sell much better than I ever expected. So before you hire that professional designer, why not try doing it for yourself? If it doesn’t work what have you lost? If you read the reviews on sales sites like Amazon Kindle, you’ll see a great many complaints about poor formatting on the sales pages of some authors – as off-putting to the reader as poor writing and construction. We publish our books on four sites. We use CreateSpace for our paperbacks and Amazon Kindle, Kobo and Nook for our eBooks. We tend to juggle our titles around where eBooks are concerned. All of our books are currently available on Amazon. Some titles on Kindle Unlimited as well. A few of our books are available on Kobo and Nook. We get most of our sales on Amazon. We sell on Kobo, with some of our titles doing better than others. We rarely sell on Nook, though we like a presence there. I’ll come back to CreateSpace in a future blog. When we decided to go Indie with our books, I was completely puzzled by the practicalities of formatting. I’d heard horror stories of people getting it wrong and – not being a computer whizz-kid – was rather intimidated. The solution came in a branch of W.H. Smith’s in Darlington, where, by sheer chance, I discovered a copy of a book called “How to Publish Your Own eBook” by Nik Rawlinson. It has been a Godsend, and I still refer to it today. I supplemented this with a book called “CreateSpace and Kindle – a Self-Publishing Masterclass” by Rick Smith. I’ve read several others since but find these two books indispensable for the absolute beginner. I should stress here and now that I don’t personally know these two authors and I’m certainly not on any sort of commission. I just think they’re terrific if you’ve never published an eBook before. All of the eBook sites publish in a different way. I actually think putting books on Kobo is a lot easier than loading them on to Amazon. So easy you don’t even really need a guidebook. I’m not wild about the way Nook loads eBooks, by far the worst of the three. There are other eBook sites but I haven’t used them. If you have experiences of them then please do comment. I think a lot of bad formatting on Amazon etc. happens because people just try to put a Word document straight on the site. In fact, Amazon positively encourages this, particularly if you’ve produced a CreateSpace version first. Sometimes, when I’d downloaded and tested on our Kindle, it works. More often it doesn’t and the text is all over the place. Now, I write on Word and then load my book on to Sigil, then Calibre, to produce a formatted version which I then upload on to the Amazon Kindle site etc. This seems to work for me. I know that the more technologically minded use Scrivener, InDesign, Quark Xpress, etc. Again, I’d welcome any thoughts on these, they are beyond my knowledge. If anyone knows an easier way to format without any errors, I’m open to advice. More on writing and publishing for the Indie author next week. Anne wrote this for our crime writing blog http://www.gaslightcrime.wordpress.com and we thought followers of this writing blog might find it interesting, John. Our latest period crime novel The Seafront Corpse, is the first in a projected series set in the early 1930s. We like the idea of spending time in the pre-war England of the Golden Age detective fiction we enjoy so much. Trying our hand at contemporary crime has never appealed – and I’m full of admiration for writers who deliver a compelling mystery while knowing their way around modern police procedure and forensics. Rather than basing our detectives in London and sending them around the country, we fancied writing about a provincial town. Somewhere large enough to have plots for murders yet with a medium-sized community where people know the more prominent members, at least by reputation. We settled on a Sussex seaside resort, within reach of a day-trip to London. Our initial thought was to use Brighton as a setting. We changed our minds as Brighton’s real-life crime in the 30s was on the hard-boiled side, as depicted in Graham Greene’s Brighton Rock. So we created our own Tennysham-On-Sea, influenced by but not based upon any real town. We wanted to describe a genteel resort with repertory players and beach photographers, the sort of place where Miss Marple might stay for a few days. It’s been fun mapping out our fictional town and dreaming up more features for the next book. Tennysham isn’t meant to be too cosy. We wanted to reflect the seedy back streets, something that hasn’t changed as much as you might think. (I’ve lived in a few resorts along the Channel and rented flats that would fit well in a Patrick Hamilton novel). So Tennysham has its shabby boarding-houses, the bus-depot and laundry, gas-works and coal-yard as well as its chalk cliffs and smart sea-front. Our detective, Inspector Eddy Chance, is a local who’s been transferred away from the town for some years. Newly promoted as head of the small C.I.D. department, he’s glad to be back home and working with his old pal and former mentor, Sergeant Wilf Bishop. We didn’t want to write about the classic country house-party setting with an upper-class amateur sleuth, much as we enjoy reading them. Our interest is in working detectives who investigate a wide variety of characters, more Wexford than Wimsey, though we love them both. It’s been a pleasure to attempt to create the atmosphere of the 30s, a world where the detectives wear trilbys and pipe smoke curls over the typewriter. Where they stop off at phone boxes and press button B, the Chief Constable is a retired colonel and no one’s heard of DNA. It’s important to us that our 30s atmosphere feels as authentic as possible but there’s a balance to be struck. Novels where characters ‘ejaculate’ expressions such as ‘what ho’ or ‘top hole, old thing,’ read like a spoof. Bertie Wooster could get away with it – or even Tommy Beresford – but today they could make the reader laugh where you don’t intend it. We’ve started our series in 1931, partly because it’s a very different time from the 30s of John’s thriller, Balmoral Kill. Set only a few years later in 1937 the world has changed and everything is overshadowed by the coming war. This time we’re interested to look at how people were, thirteen years after the Great War. In the 1920s the prevailing mood was to try to forget the horrors and look to the future but of course that isn’t always easy. The scars remained, mental and physical. We’ve tried to reflect this in our characters. So how did William Quest come about? I’ve always wanted to write about aspects of the Victorian underworld, but I wanted a setting that was London and Norfolk. For a long time I had this image of a gentleman carrying a swordstick walking along a London alley. I knew straight away that he was on some sort of quest for vengeance. His name, in these preliminary thoughts was Edward Stanton. Then one day the name William Quest flashed into my mind. It seemed to fit. I knew it would open with a killing but had only the vaguest ideas as to where to go from there. So did you write out any sort of detailed plot plan? Not really, and I’m glad I didn’t. I scribbled a few pages of very rough ideas in a Moleskine notebook. Many of these got rejected as I went on. I knew that there had to be some sort of back story for Quest. I had thoughts on what that should be. Then I sat down and it really wrote itself. Much easier than anything I’ve ever written before. Whole characters just appeared, complete with names. I had no idea that there would be a character called Jasper Feedle at all. He just appeared one morning with that name. Walked out on to the pages, complete. Wissilcraft, the spy, was someone else who built up his part. He was meant to be a very minor character, just in a couple of scenes. And then there he is, driving the whole plot forwards. I took a minor in nineteenth century social history as an undergraduate at the University of East Anglia. I always had a considerable interest in the Victorian underworld so I had most of that information at my fingertips. I have always had an interest in Victorian London and Norfolk and wanted a contrast between the London rookeries and the lonely countryside of Norfolk. Recent visits back to Norfolk gave me ideas for the scenes there and for the climax. Mornings usually. An early start and then only to lunchtimes. I usually write between 850 to 1400 words a day. I try to write every day. I try to write for an hour or two in the afternoons. It has to be Jasper Feedle. Mostly because he saved me a lot of labour and came on like an actor, gave the performance, without any great effort from me. When I was younger my period was always the 17th century. My university experiences and reading since diverted me to Victorian times. I think it a fascinating period. People think they know it, but…. And there are several periods within the period. The Regency attitudes linger on for a long time into Victoria’s reign. I found that fascinating and it was one reason why I set Quest as early as 1853. Much of Dickens’ work is driven by those attitudes. Worth remembering that there were thirty years of Victorianism after Dickens died. They were rather different years, much as the 1980s were different from the 1940s. A good time to be alive? If you were well off. Most of my ancestors were working class during Victoria’s reign. Many had unpleasant and early deaths. But there were wonderful people fighting for reform as well. I wanted to reflect both aspects in the novel. But at the end of the day it is a thriller and not a social novel. But Victorian values are not something, generally, we should wish back. Like Quest and his friends I would like a fairer and much more compassionate world. But the relics of Victorian Britain are still there? They are indeed. In Britain we are fortunate that we can walk down the same streets and see the same buildings as our Victorian ancestors. Walk down many High Streets, look up above modern fascias, and we can still see the buildings they would have seen. A lot of Britons still live in the same houses as the Victorians. Much of our civic architecture is Victorian. We should make sure the planners and developers leave it alone. Will there be any more William Quest novels? I’m writing the sequel right now and hope it will be out this summer. What advice would you give to anyone writing a Victorian thriller? Don’t dwell too much on the plot until you have immersed yourself in the period. Sometimes the best ideas come out of that period. Read widely, walk those Victorian streets, look at their art, listen to their music, read their literature. It’s a bit like time travel. You need to be living there in a bit of your mind. Once you can get into that state the ideas should come. Better than trying to force a plot on to the period. As I suggested in the last blog, I decided to Indie publish because I wanted more control over my finished books and a greater financial return on books sold. I’ve worked with traditional publishers in the past and got on well with them. But, as I said last time, the world of traditional publishing has changed. Modern publishers – or at least the big companies – tend to be motivated much more by the need for profit than any regard for literature. The old days, when publishers were essentially bibliophiles and seeking to make a living in a profession they adored, are mostly over. To the modern businessmen and their shareholders the author is just a manufacturer of a product. And the author is pretty low down on the food chain. I suspect a lot of other people go into Indie publishing so that we have more control over our work. I recognise that that ambition can be dangerous. Authors can be terrible judges of their own writing. Either that, or they recognise their own deficiencies and shuffle off those deficiencies praying that nobody would notice. No one can deny that the freedom to self-publish on sites such as Amazon has led to a lot of dross being put out there. That’s inevitable. My belief is that most of the bad writers will fade away once they realise that nobody’s going to buy their books. Either that, or they will recognise they need to learn a lot more about writing before they try again. The message itself had a number of errors which I’ve corrected. Now, all of us spell words wrong, make typo errors and grammatical slips from time to time. But the writer who posted that message should really have been able to answer his own question. And yet I know how it feels to have a burning desire to publish your work. That individual isn’t a failed writer, just a writer who needs to do a lot more work before he’s ready to publish. Many writers started out as badly, overcoming their difficulties to achieve greatness, or at least sales. Now some writers employ an editor and/or Beta Readers to look at their work before they publish. Fair enough if that’s your thing. I don’t as such, though one person does read and correct everything I write before it goes out. A good job too, because I make silly errors, grammatical slips, typos, continuity mistakes etc. in the white heat of creating at a laptop. I suspect most writers do. If you feel you need to employ an outside editor then do. But check out their credentials. Anyone can call themselves a book editor. I’ve seen the sharks circling at the prospect of getting their fingers on the cash of tyro Indie authors. If you are seeking out an editor, really do pin them down. Ask just what they’ve edited, what authors they’ve worked with. Request references. Ask if they will comment on a sample of your work, a chapter or two. No respectable editor would object. Editors usually ask for quite a chunk of money, so why not? But for good or bad I leave editors alone. But that’s mostly because I’ve spent much of my life as a freelance journalist. If having Beta Readers gives you confidence in your work, then why not ask for some? I never would, because it all seems a bit like writing by committee to me. I don’t want a debate on the worthiness of my characters or whether a plot twist is a good idea or not. Having been in the business of writing for nearly half a century, I’m probably too curmudgeonly to take even the most well-meaning advice. Like whether or not you employ an editor, it has to be a personal decision. Only you, as a writer, will know if you’d benefit from such assistance. If you have confidence in your work, and can put your hand on your heart and know that that confidence is not misplaced then don’t bother. Sales and reviews will tell you whether you made the right decision. What is most important is that you don’t leave your script alone until you are sure it is the very best you can do. Nag away at it until you are sure you can’t improve it. Read and re-read until every last spelling error and typo is expunged. Only then consider whether it’s ready to put out. Next time I’ll talk about formatting, essential if you are putting your books on sites such as Amazon and CreateSpace. Poor formatting, like bad spelling and grammar deters readers. It’s not that hard to do and you really don’t need to pay anyone to do it for you.